appropriate the property for his own use or another person’s use that is not entitled to it. In Jacksonville, petit theft is a misdemeanor. Depending on the amount involved in the Florida Petit Theft case, the petit theft can be a first or second degree misdemeanor. If the value of the property is over $100 but less than $300, the Jacksonville Petit Theft case is a first-degree misdemeanor. If the amount in question is less than $100, this is a second-degree misdemeanor. 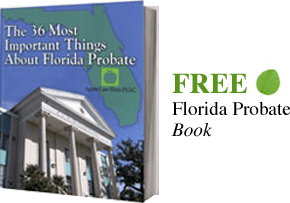 Florida second-degree petit theft can be increased to a first-degree petit theft if the defendant has a previous petit theft conviction. If you are charged with petit theft (petty theft) in Jacksonville, Florida or the surrounding areas, contact a Jacksonville Florida Petit Theft Attorney. A Jacksonville Florida Petit Theft Lawyer will look out for your best interests and fight for you. In Jacksonville, Florida, Grand Theft occurs when the value of the property is worth more than $300. Grand Theft is a felony in Jacksonville, Florida and can be a first, second, or third degree misdemeanor. If the value of the property involved in the Florida Grand Theft case is worth $100,000 or more, the crime is a first-degree felony. If the amount involved is worth $20,000 but less than $100,000, the Grand Theft is a second-degree felony. If the Jacksonville Grand Theft case involved $300 or more, but less than $20,000, it is a third-degree felony. If you are charged with Grand Theft crime in Jacksonville, Florida or the surrounding areas, contact a Jacksonville Florida Grand Theft Attorney. A Jacksonville Florida Grand Theft Lawyer will look out for your best interests and fight for you.